A man reportedly died on Monday morning after sleeping with an electric fan running. The 59 years-old victim, only known by his surname Min, was found dead with the fan fixed directly at him. The police revealed that although Min used to suffer from relatively high blood pressure, it was not serious enough to require medication. They are still investigating the cause of death. Meanwhile, deaths near electric fans happen occasionally during summer, which leads people to propagate myths about danger of sleeping with them on. Every summer, as well as seasonal typhoons attention is drawn to fan death. One of Korea’s best-known urban legends, the fan death myth is based on the idea that turning on electric fans in a closed room can cause people to die. 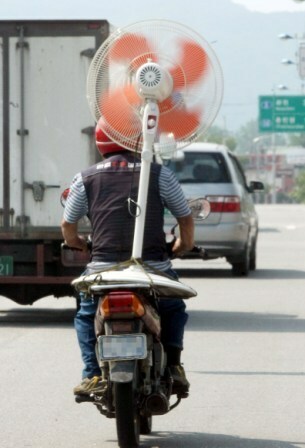 Although professionals say the rumors are baseless, many Koreans are still worried about the safety of leaving a fan on in Summer. Scientists point out that fans can never cause hypothermia or lack of oxygen. Some, however, have postulated other theories, including that dehydration of skin may cause hearth attack. Although there is no evidence that fans kill people, most Koreans still try to open doors or windows when turning on fans. 4일 오전 2시 30분께 광주 북구 모 아파트 민모(59)씨 집에서 민씨가 거실에 엎드려 숨져 있는 것을 아내가 발견했다. 민씨 아내는 지난 2일 아침 산악회 모임에 참석하려고 외출했다가 이날 귀가한 것으로 알려졌다. 민씨는 속옷만 입고 있었으며 곁에는 선풍기가 고정된 채 작동하고 있었다. 경찰은 민씨가 평소 혈압이 다소 높았지만, 병원 치료를 받지는 않았고 외상이 없는 점 등을 토대로 정확한 사망원인을 조사하고 있었다. 의료계와 학계에서는 선풍기 또는 에어컨이 저체온증, 저산소증의 원인이 되느냐를 놓고 의견이 분분하며 지난해 9월 대법원은 에어컨을 켜고 자다 숨진 30대 여성에 대해 에어컨과 사망 사이의 인과관계를 인정하기 어렵다고 판결하기도 했다.